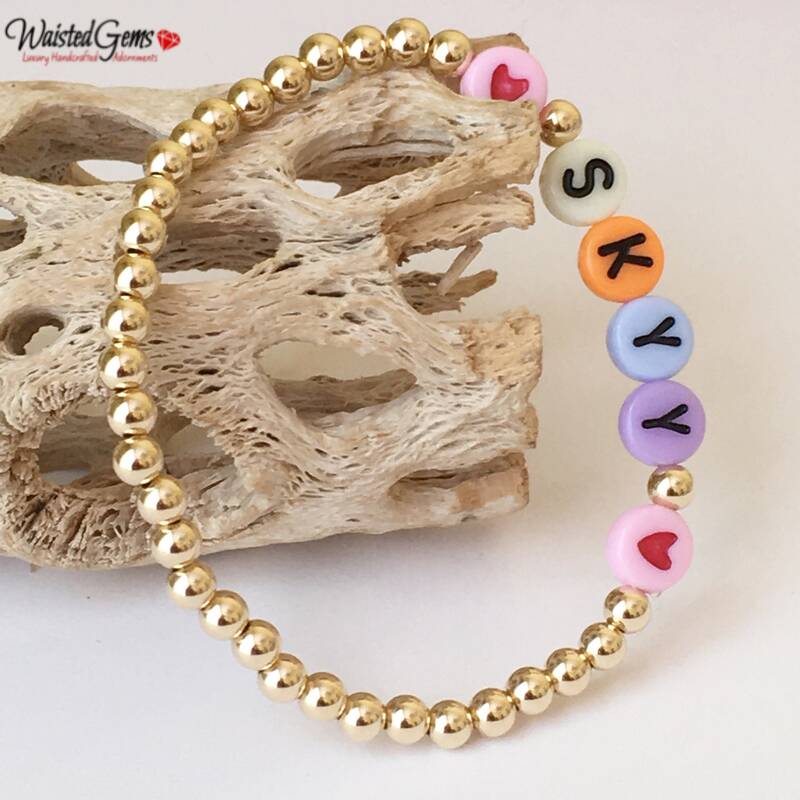 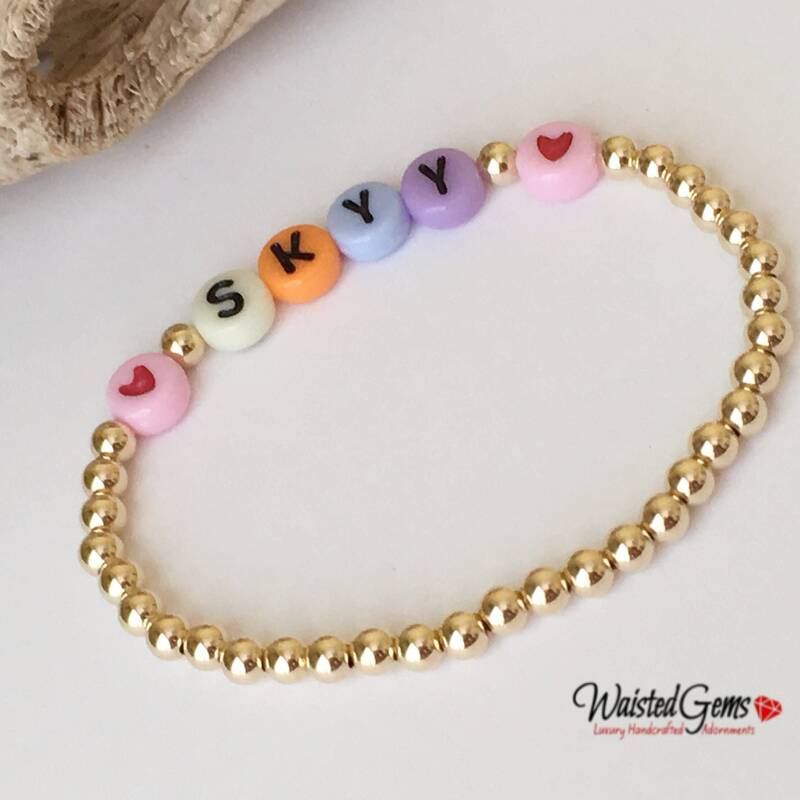 Child 14k Gold Filled Beaded Name Bracelet is handcrafted with 14K yellow gold 4mm bracelet with white letter beads strung on a durable elastic cord. 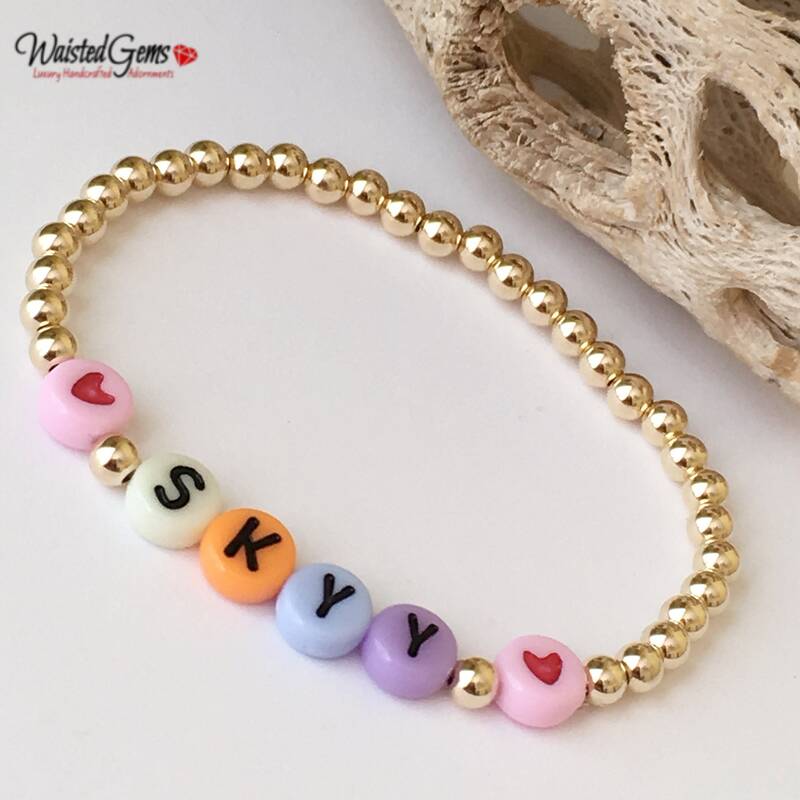 They are great for stacking or wearing alone. 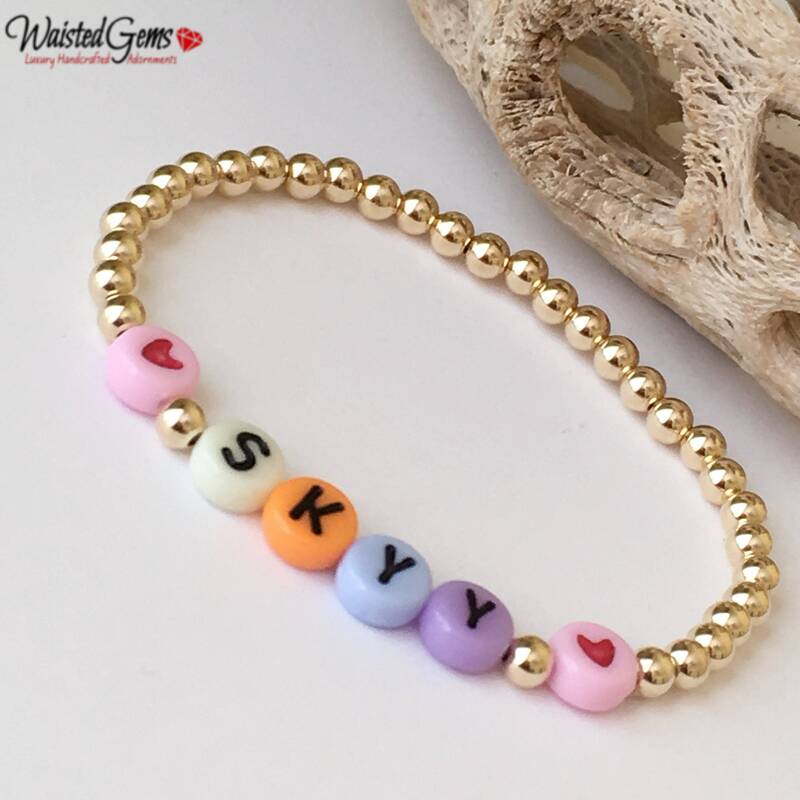 Because this is a unisex bracelet please leave a note if you would like hearts added.